I am fussy about perfume books because there are some terrible ones out there. But slowly I’ve built up a little library and I thought I might share some impressions of one of my favourites. You may know Lizzie Ostrom as Odette Toilette, a British-based speaker and commentator on fragrance history and culture: a ‘purveyor of olfactory adventures’. Her book is a tour of the twentieth century via 100 mini-essays on perfumes which ‘have something to say’, as Lizzie puts it, in their own times and often in ours. The book begins with Houbigant’s Le Parfum Idéal (1900) and ends with Demeter’s Dirt (1996). Lizzie’s selection is not always based on perfumes which have survived until today. You’ll find plenty you have not heard about because although there is coverage of many fine and expensive masterpieces of ‘olfactory art’, there is also an emphasis on mass market perfumes which tell us a lot about what ordinary people actually wore, once upon a time. So among the great Guerlains, Carons, Chanels and Lauders you’ll find (ahem) Climax by Sears (1900), a ‘mail order perfume’ costing 25 cents ($7 today), and Dri-Perfume (1944) by J.L. Priess, a strongly scented powder produced when war conditions restricted the availability of cosmetic alcohol. Unusually, the book is not lavishly illustrated, coffee-table style. It contains no vintage ads, just simple, charming line drawings. Lizzie finds context not in images but in literature, movies and popular culture. This for me is pure fascination. Lizzie has, I swear (because I’ve been there), spent many, many hours in libraries poring over magazines and newspapers so as to understand the cultural context of each perfume. Her essays are not reviews, but a series of rich and original insights based on this research. Lancome’s Magie Noire (1978), for instance, is described as ‘the wiccan perfume’. Its release made the most of counter-cultural interest in spells, tarot reading, cults and drugs. The Wicker Man – do you remember the film? Yes! So of course it makes sense that Magie Noire became an instant classic. Then there is Jean Desprez’s Bal à Versailles (1962) and the film Chitty Chitty Bang Bang (1968). What?! But yes – remember the Baron and Baroness Bomburst of Vulgaria, absurdly dressed in ermine and knee breeches, dripping with diamonds? 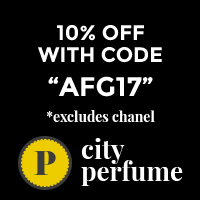 The pure silliness of it all is a perfect match with the faux-opulent eighteenth century-style bottle and the gloriously vulgar scent that is Bal à Versailles. Meanwhile Jōvan Musk Oil (1972) brings forth memories of the cheesy crooners of the era, especially Demis Roussos in full kaftan and comb-over. Yeesh! A word for Shalimar lovers: sorry, but your idol is not here. This does not offend me but I do think it odd, Shalimar being one of the most loved and influential perfumes ever. ← Tauer Perfumes at Men’s Biz + Discount Code! Thanks for this read, Anne-Marie. Looks like fun! Actually with or without Shalimar this sounds like something that would be quite interesting. I will go looking for it asap, and thank you for the review Anne-Marie! I would love to hear more reviews about books in your perfume book library! Will you be doing others here in the near future? I have some terrible perfume books in my little collection as well and would like to avoid more of those if at all possible. I really enjoy a look at examination of the era in which a perfume was release, so I’m so looking forward to buying this when it shows up in Canada. Hard copy, as I see my perfume-related books as a reference library. Yes, I do indeed remember the Wicker Man — paganism is not dead. I saw the 1973 version once and it creeped me out too much to want to see it again. Didn’t know there was a 2006 version. Great review Anne-Marie, you’ve inspired me to go hunting for this book. Just in time to add to my summer reading list. I always love a good perfume book. Thanks Greg and Poodle, have fun!